YOUR WEDDING - YOUR SPECIAL DAY! 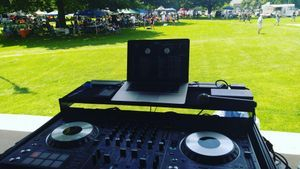 DJ Diesel has the talent and experience to react to your guests, presenting your song list in the right order to bring your party to life. You will be happy you selected him as your entertainment! 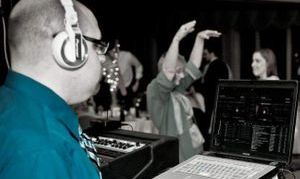 He will use music to set the tone for your wedding and reception. The right music provides the backdrop to make your wedding perfect. Let him know what you are looking for in a DJ. Do you want your DJ to remain in the background, unobtrusively playing your music list? 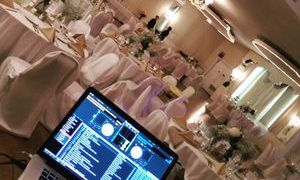 Do you want a DJ that will interact with your friends on the dance floor to get the party going? 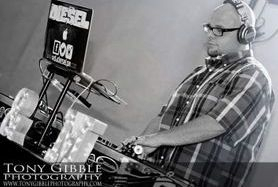 DJ Diesel will skillfully blend your song list reacting to your guests to keep the party going. Always in good taste, we ensure there is continuous music, no uncomfortable gaps, and no profanity. DJ's are artists. 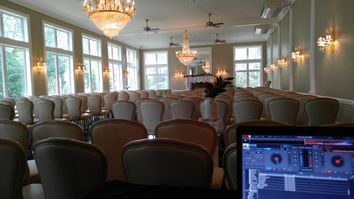 They don’t just play music, they balance songs and mixes to give you the perfect wedding and reception. They will always be dressed appropriately. If you have special dress requirements, just let him know. The right music can make your wedding and reception. We want your music to reflect your personal taste. We have the experience to help you find the right mix for your guests, your style. The music you choose sets the tone for your wedding. It is the thing that your guests will most remember. What mood do you want to set for your Wedding and Wedding Reception? Whether it is Romantic and Elegant, Exciting and Fun, Conservative and Traditional, Casual, Night Club, Modern and Trendy or Reserved, we have the right choice in music and the right equipment. The music you use for your wedding ceremony will be influenced by the location of your wedding. If you are having a church wedding, the congregation may have rules on appropriate songs. If you are having a wedding at another location or a garden wedding, you have no limitations. Your wedding ceremony music can be traditional wedding songs, classical, modern romantic love songs or contemporary jazz. Let your music reflect your style, your taste. Don’t start your ceremony in silence. For at least 20 or 30 minutes, Prelude Music can set the mood as your guests are seated. This music should be in theme with the songs you have chosen for your Processional. Select classical or set a different tone with a favorite artist. As the wedding proceeds, different music can be segued. You can select different songs for the Groom, Parents of the Bride, Parents of the Groom, Ring Bearer and Flower Girls, Bridesmaids and Groomsmen. The music fades down for the center piece of the ceremony. The most important music is for the procession of the Bride. Some weddings also have low volume music played behind quieter moments in the ceremony, such as lighting a unity candle. Last, the Recessional Music, played as the wedding party walks back down the aisle. It is a celebratory piece; joyous and optimistic. Your Wedding Ceremony Music should be planned well. Whether your wedding is in a church, on a mountain top or in a romantic garden, we will ensure that the wedding songs are organized and the ceremony flows smoothly. Your wedding reception is a gift from you and your new husband to your family and friends. 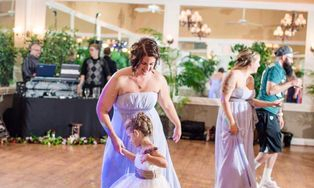 We can help you choose a mix of music to please all of your guests, from your great aunt to your flower girl. We understand that different music appeals to different guests. We can help you select a mix of music that will delight everyone. 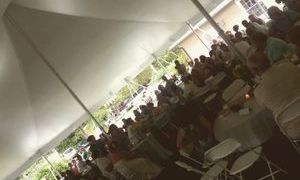 We know this is a wedding, not a frat party. All your friends will be there, but so will your grandparents. Let us know who your guests are. What kind of music do they like? Don’t forget your groom! Have a special song? Let us know which version you want to hear at your reception. Don’t worry if you don’t own it. We do! Let us know what you want. What are you thinking of? How do you imagine your dream wedding? Jot down songs you want to hear as you think of them. Give us your personal request list, songs you definitely want to hear. And don't forget to include a DO NOT PLAY list if there are any songs you really don't want at your event. You have been at parties that just never get off the ground. The wrong music can send your guests all off the dance floor. The right music is the key to a successful reception. What music genre best reflects you and your new husband's personalities? What ambiance do you want to create? Do you want to include special songs from your past? From your families' cultures? Do you prefer country, while your new husband is all rock and roll? We can help you choose a mix that will please both of you. 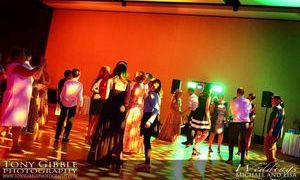 We will play a variety of songs, slow and fast, new and old classics that will get your guests out on the dance floor. We can help you achieve your wedding theme. 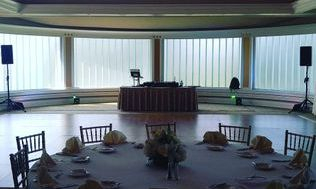 717 Events Group can help you select music for each part of your Wedding Reception; the Cocktail Music, Dinner Music, First Dance Song, Father Bride Dance,	Mother Groom Dance,	Bridal Party Dance, Bouquet Toss Song, Garter Toss Song, Bridal Party Dance and the Last Dance. Let us know if there are other friends or family members you would like to honor with a special dance or song. You and your guests will enjoy a night of your favorite music. Not just the best event you ever have hosted, the best event you have ever attended! Our sophisticated equipment enables us to provide the right volume to keep the party going and yet not antagonize older family members or make it impossible for your guests to talk to each other. We will keep the volume lower for dinner conversation. 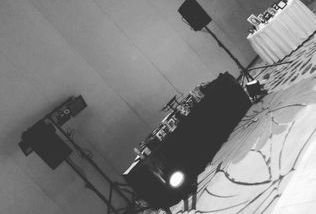 We will use the right music at the right time, then transition to party music to get your guests out on the dance floor. As the reception continues, volume can be gradually increased. During the open dancing portion, we'll lower the house lights, and turn on ours! From color washes, to dance lights and lasers, we'll keep the energy, party and vibe going all night long!